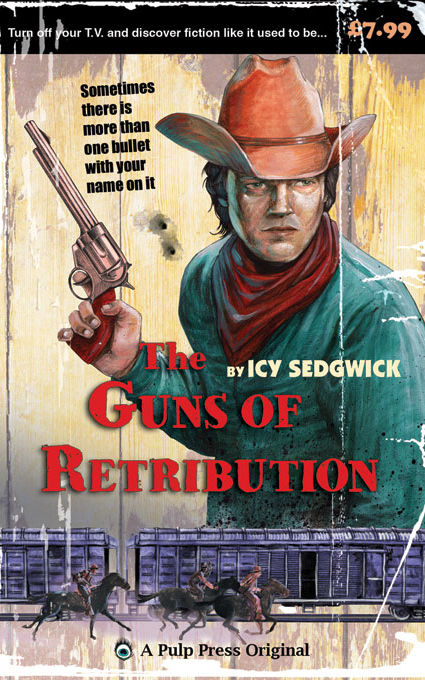 As of this morning, my pulp Western, The Guns of Retribution has its own Facebook page! You can 'like' it here, and I'll be using the page to try and promote the book a bit more while I'm working on the sequel. The sequel is coming along nicely, but I'll be writing a post tomorrow about the process, and my experiences with using an actual outline. I'm also starting to work on the outlines for some short stories starring Grey O'Donnell, my bounty hunter protagonist, so I'll be able to let everyone know when and where they'll be appearing. If you'd like to host one on your blog, let me know and I'm sure we can work something out! Look forward to the Grey O'Donnell stories...wonder if there is any way I can share them down here. I'd be glad to host a short!